IBS sufferers are most often recommended Florastor, or Align, and both of the probiotic supplements work wonders for most of the patients. Probiotic supplements are sold over the counter, and many people just buy them and start taking them. However, it is important to understand how the two probiotic work and what are the benefits and the risks associated. Even though probiotics are generally considered safe, there are some risks associated. Irritable Bowel Syndrome – What are the Causes? IBS is not fully understood, and the exact cause is not known. Even the diagnosis is made solely based on symptoms. Irritable bowel syndrome is a crippling condition, with serious symptoms. A common symptom in all IBS sufferers is the composition of the intestinal microflora. All patients with IBS have an abnormal microbiota, with low counts of probiotic bacteria, and high counts of pathogen microorganisms. The paper published in the Gut Microbes online journal, resumes the research of a few trials of B. infantis 35624. It was observed during the trials, that patients with IBS have a high level of Clostridium spp, and lower than normal levels of beneficial bacteria. While lower levels of beneficial bacteria should be tolerable, (unless critical low levels), the presence of some Clostridium species is known to cause serious health issues, with the most notable one, Clostridium difficile, which is responsible for IBS, IBD, and pseudomembranous colitis. The most common cause of such an imbalance of microbiota is the use of antibiotics. Most of the microbiota is killed by antibiotics without discrimination, whereas Clostridium difficile is resistant to antibiotics. As a result C. difficile not having to compete with other bacteria, develops rapidly. Besides C. difficile, there are other microorganisms that can cause IBS symptoms, with the most notable one Candida Albicans, which unlike C. difficile, is a normal inhabitant of our gut. The causes for abnormal high counts of Candida, or other opportunistic microorganisms, are a poor diet, or antibiotic treatment. Another common issue with intestinal health is the low tolerance to certain foods. Some people have a low tolerance to certain foods, and their body has an abnormal response to these foods. Although food intolerance is more rare the cause of IBS, we should not discard. Some people get better with Align, and other people get better results with Florastor, but what is the most interesting is that some people will only get better with the two of them. We are all different, and our stomach problems are not the same, Florastor is a probiotic based on a probiotic yeast, Saccharomyces boulardii, whereas Align is a probiotic supplement based on a probiotic bacteria, the patented Bifidobacterium Longum, subspecies infantis. There is research which shows clearly that both supplements are very effective treating intestinal problems, however the research is limited, and the mechanism is not fully understood. At the end of the day, it works, it makes us better, and this is what matters most. Here are some facts about Florastor and Align to make you understand the resemblances and the differences between the two. Florastor probiotic is yeast. Saccharomyces boulardii, the main ingredient in Florastor, is not a normal inhabitant of our guts, but it was unknowingly used for a long time to treat stomach problems. In Southeast Asia, chewing the skin of lychee and mangosteen is well known to treat gastrointestinal issues, and appease cholera symptoms. Florastor contains lyophilized cultures of the yeast, (dried yeast), and it holds a patent on the process of lyophilization. This makes the supplement to last longer times without refrigeration. While very efficient, Florastor has to be taken on a regular basis. The reason is because Saccharomyces boulardii is only transient in our guts. It cannot populate the intestines, and once the treatment stopped, the symptoms will reappear. The good news is that once the problem is held under control, you can lower the dose to a maintenance dose. Florastor is a yeast based probiotic supplement, with the main ingredient saccharomyces boulardii lyo. The product contains lyophilized Saccharomyces boulardii, hence the name. The lyophilisation makes the yeast last longer, and less susceptible to temperature changes. The shelf life of Florastor is better in consequence. Flostator is great to prevent stomach and intestinal problems assosiated with antibiotics. 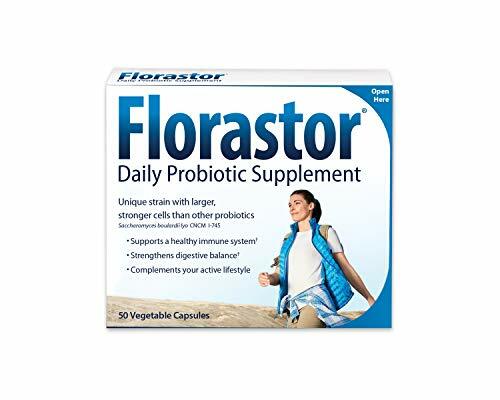 Florastor can be taken with antibiotics, maintaining efficiency, unlike bacteria based probiotic supplements. Bifidobacterium infantis is a subspecies of Bifidobacterium longum, and it is the main ingredient of Align. Align holds a patent on the probiotic bacteria, and they call it Bifidobacterium infantis 35624. Bifidobacterium longum is a major colonizer of our gut during infancy, and it decreases considerably into adulthood. Align has speculated that this has to have a considerable impact on our gut health, and the speculation proved right. Research has shown that after two weeks from stopping the supplementation with Align, there are still traces of Bifidobacterium infantis in the intestinal microbiota. This basically means that the strain populates our intestines. However, in order to properly colonize the intestine to effective levels, the treatment has to be more extensive than in the research. The real life results show that you have to take a maintenance dose as well, though. 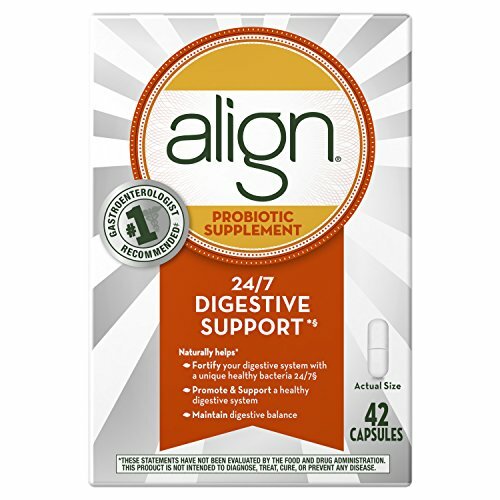 Align is probably one of the best probiotic supplements. The unique patented, strain Bifidobacterium infantis 35624 in Align is not found in any other products. The most notable effect of Align is on Irritable Bowel Syndrome. Many people report miracles after starting on Align. The only concern with Align are the additives, that for some people seem to create problems. I, personally didn't have any problems with the additives, because the doses are so small that they don't have any impact. Bifidobacterium infantis 35624 is the main active ingredient in "Align Digestive Care". Align or Florastor - Which One Is Better? As I mentioned before it is hard to pronounce a winner, because they work differently. Following I’ll try to underline where are most effective each of the two. Also, there is a summary of trivial facts that you can find on the product’s label. Florastor is excellent for prevention and treatment of antibiotic associated diarrhea. It also prevents imbalances in the intestinal micro flora, preventing infection with C. difficile, a common problem for antibiotic treated patients. For people already infected with C. difficile, the major problem is the reoccurrence of the infection, even with specific treatment. Florastor can help the recovery after an infection, stopping the reoccurrences. The most important: Florastor can be taken with antibiotics, because is yeast, hence not affected by them. This recommends it anytime you are prescribed antibiotics. Align is better for fighting Candida overgrowth, and food intolerance related IBS. Align will help reduce the symptoms very effectively, but additional measures are needed. Diet is most important in both cases, but diet alone will not cure the underlining issue, it will just alleviate the symptoms. Align will go a step further and will kill Candida, or reduce the intolerance to foods. In time you can even start to eat those foods, so your diet will not have to be very strict. Active Ingredients: Bifidobacterium infantis 35624 1 billion colony-forming units per capsule. Inactive Ingredients : gelatin, microcrystaline cellulose, magnesium stearate, silica and titanium dioxide. Active ingredients: Saccharomyces boulardii lyo 250 mg per capsule or packet (this is around 5 billion CFU, but is not specified on the label). Inactive ingredients: magnesium stearate, lactose, hydroxy-propyl-methyl cellulose, titanium dioxide. Promoted Use: Protect against digestive imbalance due to antibiotics, stress diet, travel. Efficacy: Antibiotic associated diarrhea, prevention of C difficile colitis, traveler’s diarrhea (adjunctive therapy); treatment of HIV – associated diarrhea; and treatment of diarrhea in infants. There should be no major side effects from these two probiotics, however, cautions need to be taken, as with all probiotics. Start with a lower dose, and work your way to higher doses. People with severe problems reported they got results with doubling or tripling the labeled dose. But if you have a weakened immune system, even the labeled dose could be harmful. Talk to your doctor about this. Starting with a high dose of probiotics is never a good choice, even if your immunity is in good shape. So start to the labeled dose or half of it, depending on the situation, and increase the dose every two weeks. If you notice unpleasant changes, go back to the safe dose and wait another week. Normal side effects include mild bloating and gas, but these are only transient, and are a normal stage of the healing process. This is a comparison between Culturelle, Align, Fivelac, Florastor, and a few other less known probiotic supplements. There is no definitive winner, because all these are different, and target different conditions. See which one is the best for you. H, There are very little contraindications for probiotics, and products doses as high as 150 billion CFU are on the market. With high doses though there are side effects such as bloating and stomach cramps. You can certainly mix them. You have to look at what the manufacturer advertises about their product, and make sure it's for your condition. Otherwise is just a waste of money. Which probiotic is better for me when I am taking antibiotics for a diverticulitis attack? We can't give you medical advice here, you need to talk to your doctor. Florastor however, has been used to alleviate antibiotics side effects. So okay to combine Align and Florastor? So it might be a good idea to use both probiotics at the same time since they both work differently. My son is a UC patient and due to an infection is on antibiotics, so want to try to help him stay out of a flare and not get c-dif, right now he is just on Florastor. Wondering if we should also add Align. I would mix them, but I can't give you medical advice, this page is informational only. The best person to ask is your MD. How do I know which probiotic is for me?? Seems like I face this issue every time I need to order probiotics! Can someone help without all the book reading! @Cecilia, nobody can help you with that on a website. All information on websites is purely informational. And even if someone wanted to give you a direction to help you start your own research, there is nothing in your comment to point at what you want from your probiotic. @puzzled We can't give you medical advice, all this is just informational. Your MD should be able to answer this question. As anecdotal information, probiotic supplements rarely cause any real problems. Most of the side effects are just painful.